Mahalo nui loa to all our guests for another fantastic month at the Goodyear spa. We are getting busier by the day and we just want to thank you for that. We have added a new therapist to our ohana! Val joins us with over 8 years of experience in her field, and is dedicated to giving you the best service she can offer. 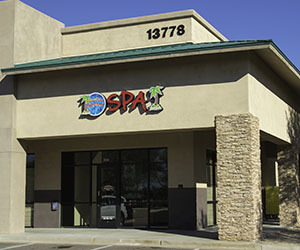 In March, I celebrated my 6-year anniversary with the spa! It has been such an honor to work for this amazing company all these years. It feels like it was just yesterday that I started working here. Also, in April, our therapist Heidi and our Spa Administrator Jayme will both celebrate their 1-year anniversary with the spa. They are both valued members of the spa and we honestly do not know how we did it without them. They are great at what they do. April is also birthday month for 4 members of our staff. Get ready to say ‘Hau’oli la hanau’ to Dakota, Karen, Jayme, and Val.